As my junior year strolled along, I became really busy with school, applying for colleges and scholarships, working and soccer. Once my real life became busy, my media life became… dead. My junior year was definitely the worst year in high school. Because of my car accident, I was put back down onto the junior varsity soccer team. Life was stressful with all the SAT’s and all the colleges I had begun to look at. It was like a mini preview into a world I hadn’t known yet. Looking back at it now, I’ve come to the realization that having the little obsessions and following the lives of the Jonas Brothers or Taylor Lautner, or anyone else I had simply been appealed to, is what kept me going. As embarrassing as this is to admit, I had their tweets sent to my phone through a text message. That way I knew exactly what they were doing at the moment they tweeted. Also they would have webcasts at random hours of the day, and I couldn’t miss those! Plus, why else would twitter create the setting of having tweets sent to the phone? TWITTER even have the mind of a fangirl. Something I had worked so hard for a whole year-and-a-half ago was simply placed in my hands! (or my mom’s hands) But since I had expressed my love for them, my mom knew she HAD to give them to me. And since the concert was on my sister’s birthday, she just had to join me as well! I had flashed back to the moment I entered contests for “The biggest Jonas Brother’s fan”, (embarrassing) showing off my obsession. And here I was with tickets. I was finally going to see them. “NO! it’s the radio station, they HAVE to have good seats for me! Maybe even VIP!” I remember telling her. The rest of that week was awesome! 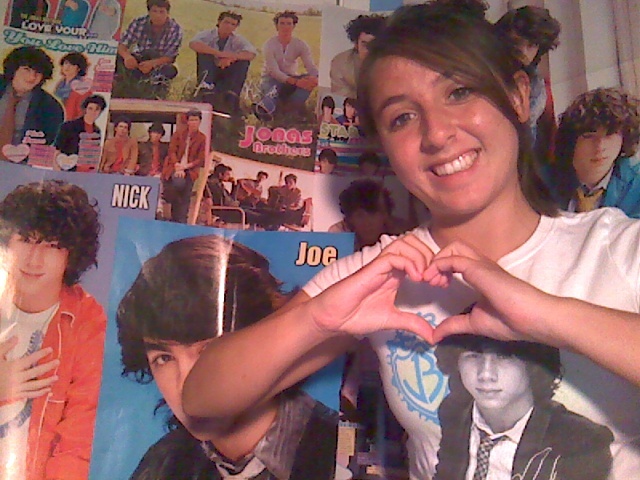 I was going to a JoBro concert and I didn’t have any other cares in the world. 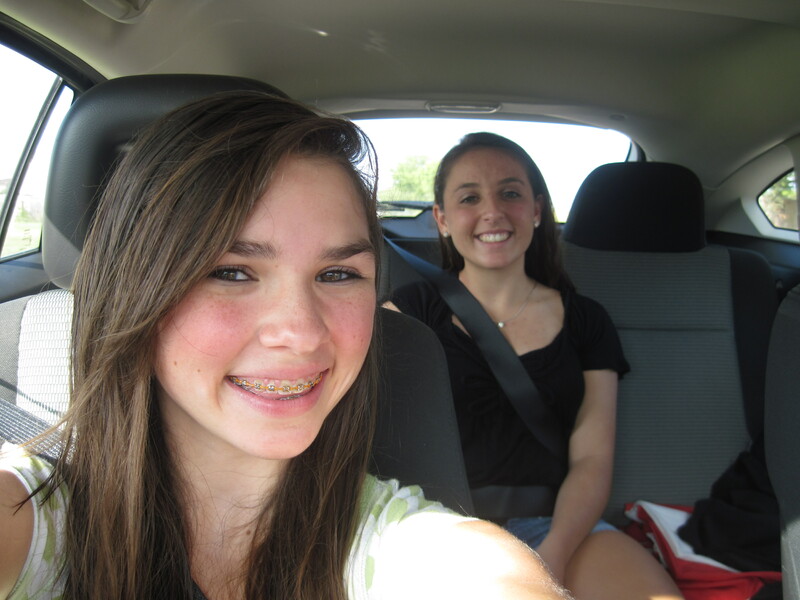 On the way to the concert!